myself and the LaForce team positioned the brand as a style authority for women over 35, creating an inspiring, empowering and approachable voice that engaged existing audiences and garnered new fans and followers. 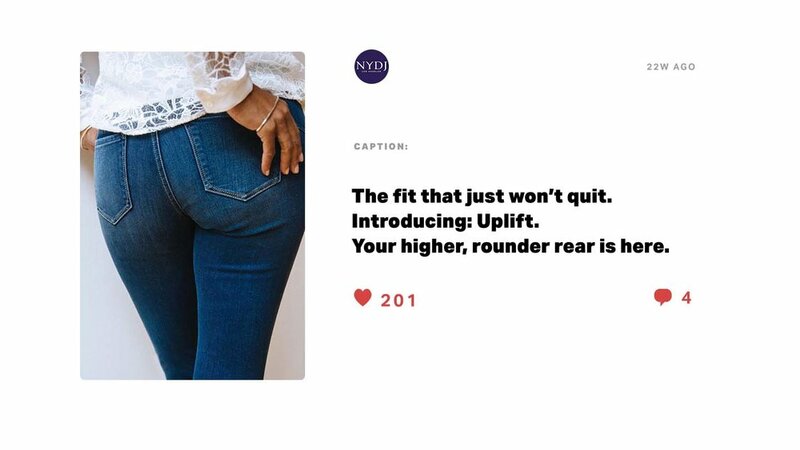 For two years, I led management of NYDJ’s content from creation to deployment, producing elevated brand imagery and engaging copy. 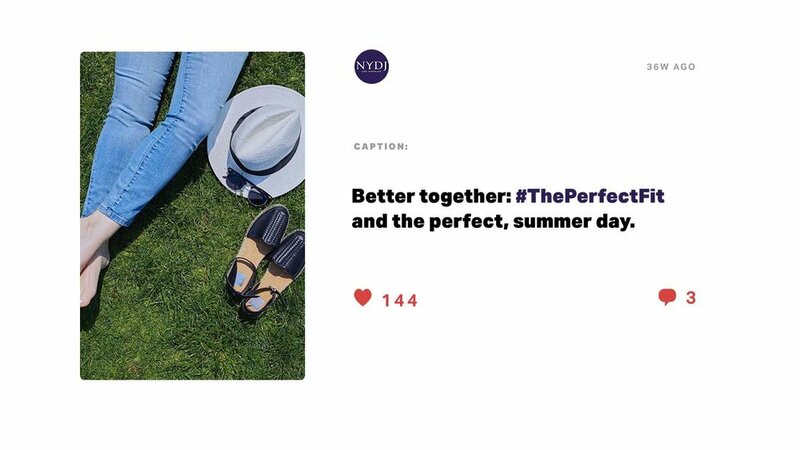 Through compelling content, influencer partnerships and strategic activations, NYDJ’s social saw an enormous increase in growth and engagement across platforms, most notably seeing an increase in the brand’s Instagram following by over 560% within one year,. 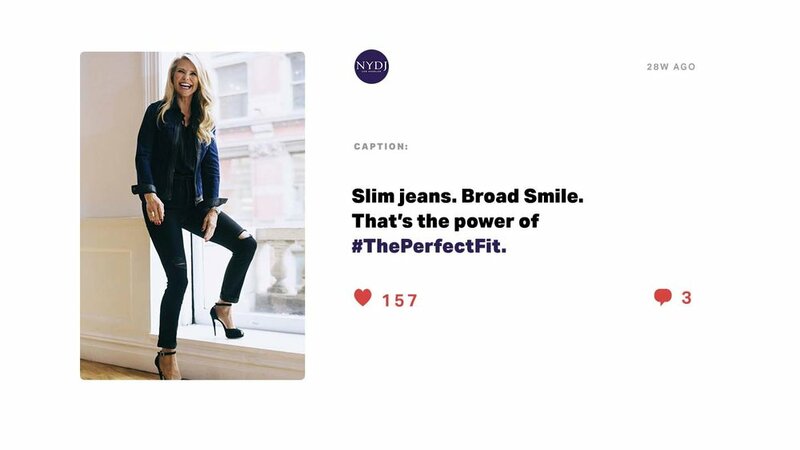 Additionally, I execute over 100 influencer partnerships per year for NYDJ from celebrity and influencer talent, further increasing the brand's reach and impact on social. Tapping into NYDJ's core audience learned preferences, I wrote social copy that engaged NYDJ followers old and new alike, creating a truly unique tone of voice that is now adopted across all NYDJ brand communications. I led content production for NYDJ's owned social content, collaborating with best-in-class photographers, videographers, stop-motion artists, and prop and wardrobe stylists for NYDJ's social content shoots. Take a look below for some of the examples of content that I produced for NYDJ.